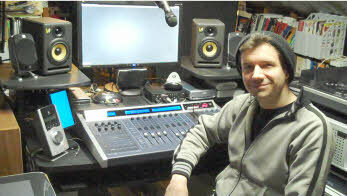 Pro Sound News recently did an interview with me and of course, SONAR X1 was the main topic of discussion. The interview includes some info and tips that I thought you might find interesting, so I figured I would pass it along. "Cakewalk's SONAR X1, a digital audio workstation with music creation tools, is a comprehensive piece of software—just ask Scott Garrigus. Since 2000, he’s written a string of popular books on Cakewalk’s software, the latest being SONAR X1 Power! : The Comprehensive Guide, available in paperback and Kindle formats. 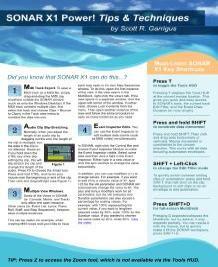 We sat down with the busy author to find out how the books came to be, what some of his favorite tips for SONAR X1 are and more." EdgeSounds: developing sound sample libraries with an emphasis on rare ethnic and historical musical instruments; software development; music production. A home to many exciting new sound ideas. Samplerbanks provides royalty free audio loops and pro samples for music producers and DJ's. All sample packs labelled by the "Samplerbanks" brand are recorded by experienced session players and electronic producers, ensuring high quality. And of course, we still have all the great discount deals from AMG, macProVideo, V-Plugs, Xylote, Ohm Force, IntelliScore, Musicrow, Blue Cat Audio, Groove Monkee, Smart Loops, Live Studio Drums, Acon Digital Media, Precisionsound, RealTraps, and Drums On Demand. Here international elements are fused in new ways with European, American and Indian pop, classic triadic rock chords, latin rhythms, all the new techno and digital tools, brought together by a master musician grounded in jazz, deep theory, and multiple pop and dance influences. It's all here, and yet none of it is derivative. Groove Monkee Releases R&B 1 MIDI Drum Loops - Get 10% off! Smart Loops Ships New MultiTrack Drum Loops for Slow, Medium and Fast Rock - Get 10% off! macProVideo Releases Composing for Commercials Video Tutorial - Get 20% off! MIDI Record Weirdness...Delayed & Scrambled (!@#%? Come on over to hang out, make new friends, and share your thoughts... and of course, get answers to any questions you may have. Thanks and I'll see you there! Copyright ©2012 by Scott R. Garrigus. All Rights Reserved.